The traditional, picturesque, seaside Medusa Restaurant is open daily from 10:00 am to 12:00 pm . For special occasions or events, contact us and we will be glad to serve you and create your gastronomic map, upon request. For any other information, please complete the form below and a representative from our team will contact you directly. Thank you for your confidence! We are waiting for you…!! The Medusa Restaurant is located in one of the most beautiful and picturesque region 8of Venus Island, in Mandrakia, with unobstructed views of the turquoise sea landscape over the traditional, small settlement with wires and rocky shores. The colors of the sky, the earth and the sea make up the table of your stay in Milos as well as your gastronomic experience next to us! So Medusa Restaurant becomes the quintessence of simplicity and essence... !!! Thank you for your taste! 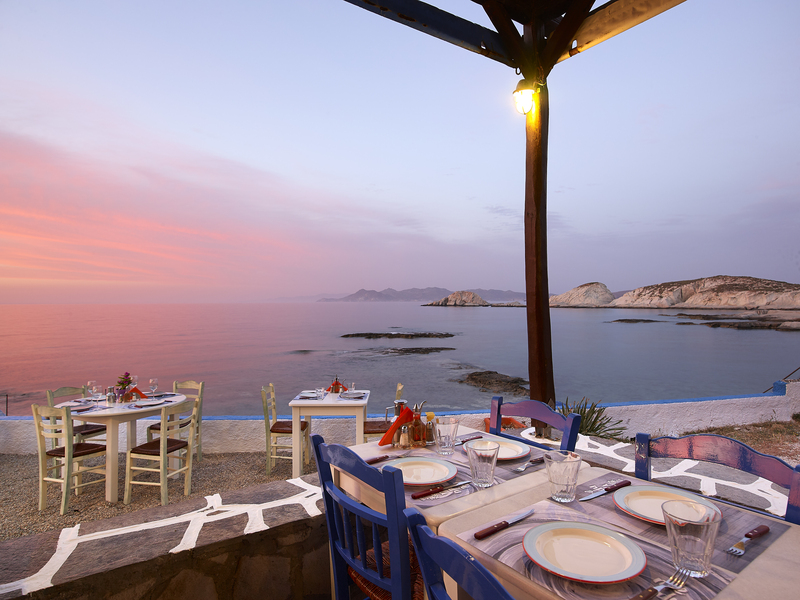 The traditional flavors of Milos’ cuisine are fully in line with the Medusa Restaurant’s philosophy and the endless, turquoise scenery in one of the most picturesque areas of Venus Island, Mandrakia.